Madison College men's basketball player Ethan Lurquin sets up a defender during a recent game. The Madison College men’s basketball team hasn’t had much luck against ranked opponents so far this season. 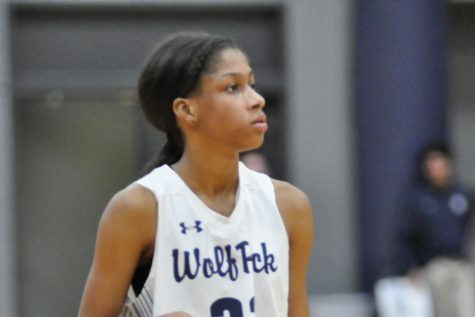 Seven times Madison College has played a ranked opponent this season, and each time the WolfPack has suffered defeat including is last three games. Their most recent defeat came at the hands of 10th-ranked Milwaukee Area Technical College, which upended Madison College, 89-68, on Feb. 13. In its previous two games, the WolfPack lost to the top-ranked team in Division II and the top-ranked team in Division III. 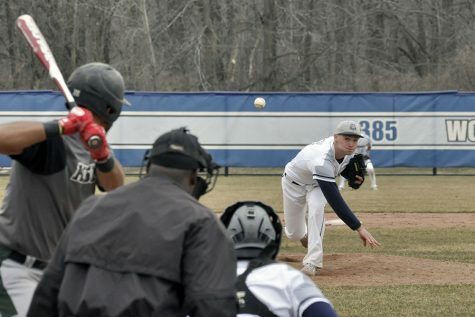 Ethan Lurquin and Kristian Zimmerman led the way for Madison College at Milwaukee. Lurquin scored 21 points and Zimmerman added 18. Madison College now has two games remaining on its schedule, both at home. The team will play Joliet Junior College on Feb. 17 and Harper College on Feb. 20. The WolfPack’s record stands at 10-16 overall and 4-8 in conference play. A 23-6 run midway through the first half gave Triton College all the momentum it needed to defeat Madison College, 77-59, on Feb. 10. 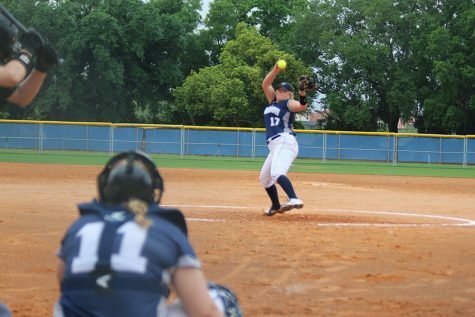 The loss was Madison College’s second straight against a top-ranked opponent. Triton College is ranked No. 1 in NJCAA Division II, while previous opponent Rock Valley is ranked No. 1 in Division III. Lurquin led the WolfPack in scoring for the 10th time this season with 17 points. Tyler Meier added 11 points, while Marquise Pollard scored eight points. Madison College learned how quickly momentum can turn during a 69-47 loss to top-ranked Rock Valley College at home on Feb. 6. After Madison College closed the gap to 34-31 early in the second half, Rock Valley went on a 9-2 run and then continued to build its lead throughout the rest of the game. Lurquin led Madison College with 17 points, while Cortez McCree had the first double-double of his career with 12 points and 10 rebounds. Rock Valley converted half of their shot attempts, going 25-for-49 with nine 3-pointers compared to a 16-of-44 day with six makes from distance for the WolfPack. The first year guard converted on 6 of the 9 shots he took to reach double-digits for the fourth-straight game. 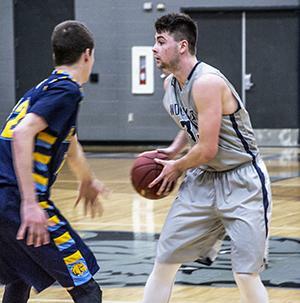 A close 63-58 victory over College of DuPage on Feb. 3 gave Madison College its third-straight win. Madison College led throughout the majority of the game, despite the close margin of victory. Lurquin was the game’s top scorer with 16 points, converting on 7 of 8 free throw attempts. McCree added 14 points for the WolfPack, while Markus Tobias finished with 11 points.